Although proving your worth to someone is not worth the hassle, it is not just the case when in the corporate world. You have to prove your skills, knowledge, and capabilities, especially when applying for a job, promotion, loans, and so on. Aside from your application letter, you also need to provide additional documents to support the contents of the letter. 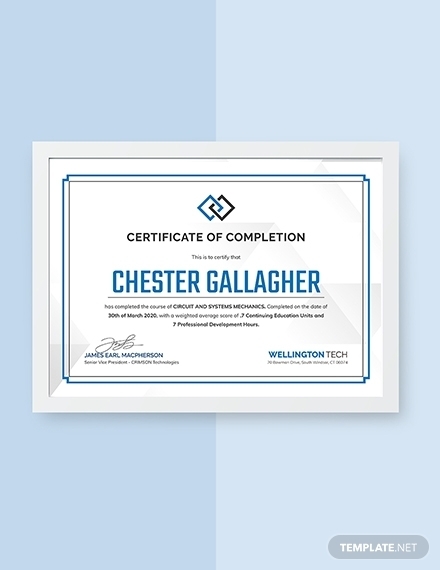 An experience certificate, or a certificate validating your experience, is a good example of a document you can use as proof to the training or workshops you have attended, the skills you have acquired beforehand, paying capacity, etc. Since it is given by an authorized certifying body, it can vouch for the integrity of your application. 1. 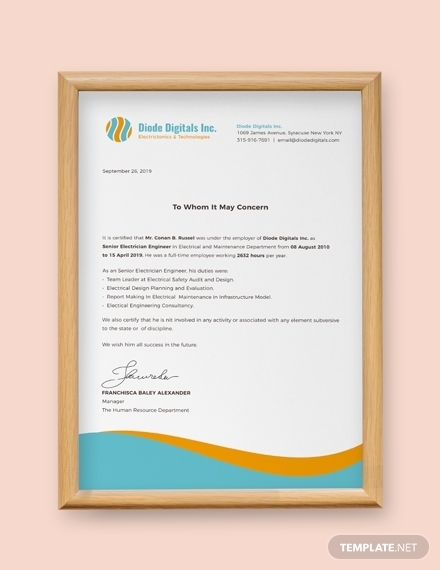 Letterhead: The letterhead should be the official letterhead of the company awarding or giving the certificate. It should contain the name of the company, address, contact information, and the official company logo. 2. Date of Issuance: The date of issuance should be indicated on the top portion of the certificate. It should be accurate in order to present a real-time period of employment in the company. 4. Full Name of Recipient: The complete name of the recipient as per the company’s official record should be used in the experience certificate. 5. 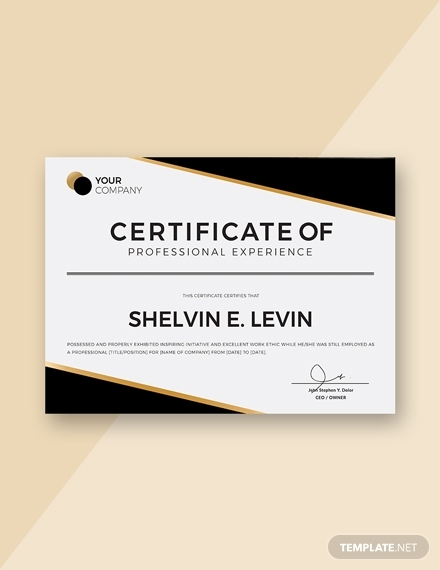 Body: Just like a completion certificate, the body of an experience certificate should provide all the necessary information about the employee, such as the tenure or period of employment and the exact position he or she held in the company. The body can also have other details that refer to the overall character of the employee. 6. Conclusion: The conclusion should provide the company’s overall objective impression of the employee based on attendance records, productivity, etc. Similar to a formal letter, the conclusion should reiterate or summarize the points made in the body. 7. 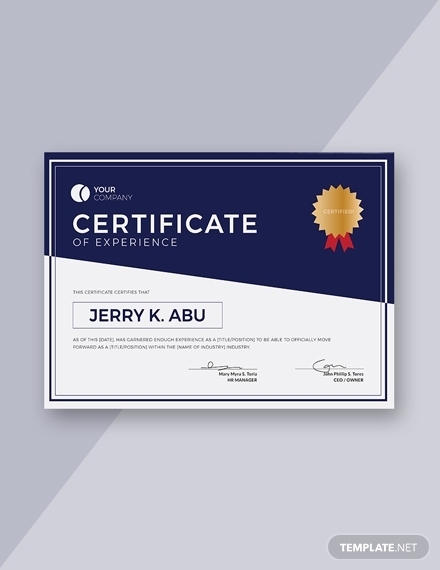 Signature Line: To ascertain the accuracy of the information stated in the certificate, it is important to provide a signature line where an authorized person can affix his or her signature. It should include the name of the signatory along with his or her position in the company. 8. Company Seal or Stamp: In addition to a signature line, a company seal or stamp will surely attest to the authenticity of the issued certificate. It will also make it impossible to illegally duplicate the certificate to be used on another purpose. 1. Indicate date of issuance: The date of issuance should be indicated on the right side of the page. Depending on your location or preferred format by the company, the date can be in an American English style (month-date-year) or in British English style (date-month-year). 2. Inside Address (Optional): Including an inside address is not a requirement for the certificate. 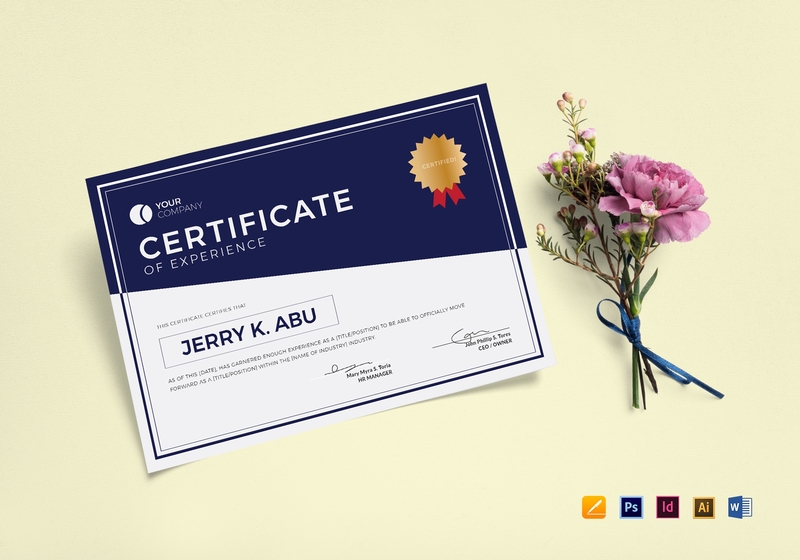 Some experience certificate follow the format of an award certificate; therefore, there is no need for headings. However, should you wish to include an inside address it should contain the name of the receiver, position in the company and complate company address, and should be written on the left side of the page. 3. 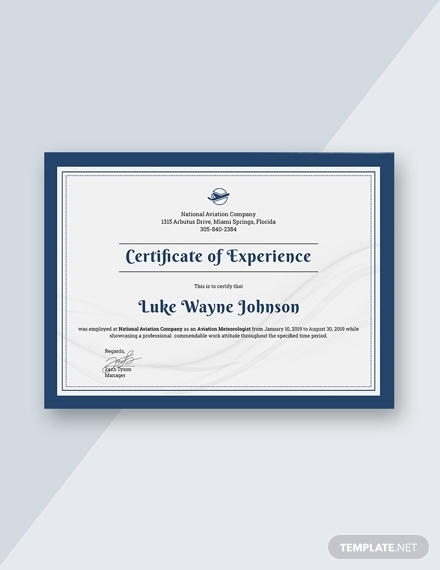 Write salutation: As mentioned, it is acceptable to use an unspecific salutation in an experience certificate. To Whom It May Concern should be written with bold letters to make it easily readable. 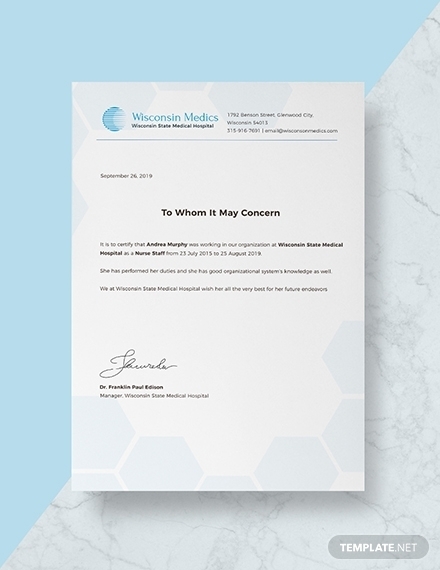 However, should you decide to format the certificate like that of a business letter, the salutation should on the left side of the page and written with the same font style and size like the rest of the content. 4. 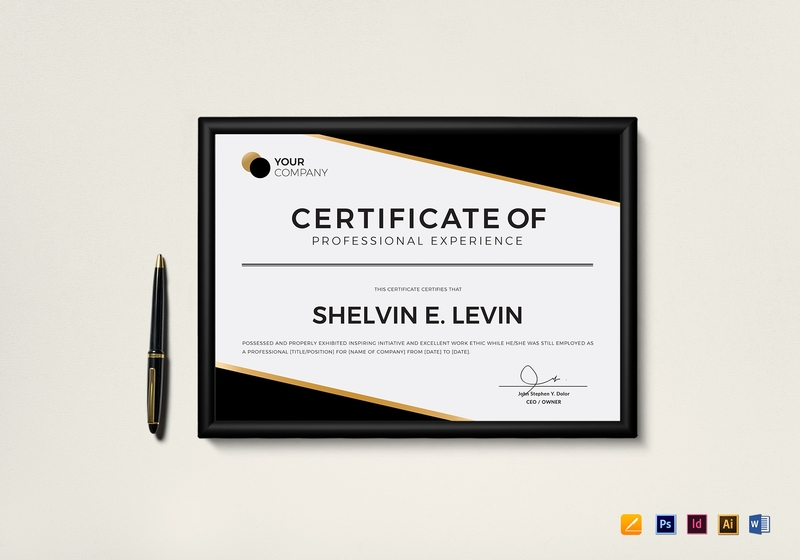 Provide details in the body: Since this certificate will most likely be used as proof for the experience and skills of an employee, it is important to provide as much details and context as possible. Accurately write the name of the employee, exact position or designation, and period of employment. It is also best to include details regarding the employee’s work ethic, character, and so on. 5. Write conclusion: Concluding the certificate should be done in a positive note. Write objective impressions about the employee; including negative remarks should be avoided. In addition, well wishes for the employee’s success in the future can also be included. 6. Indicate signature line: The signature line should be indicated below the conclusion, like that in a letter. 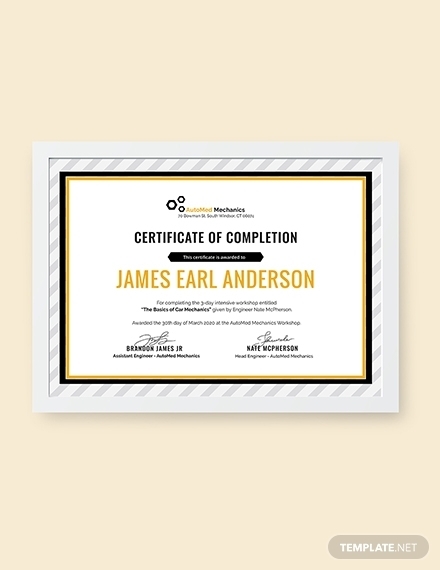 Formally end the certificate with the use of a complimentary close like Sincerely, Regards, Cordially, etc. 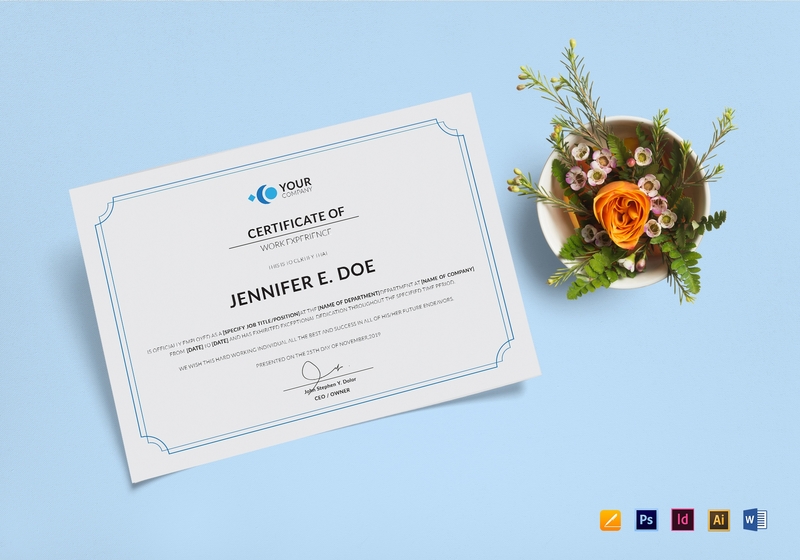 On the other hand, when it follows a strict cardboard certificate format, you can immediately indicate the signature line with the name of the signatory and his or her position in the company. A line specifically indicating where to affix the signature should also be included. 7. 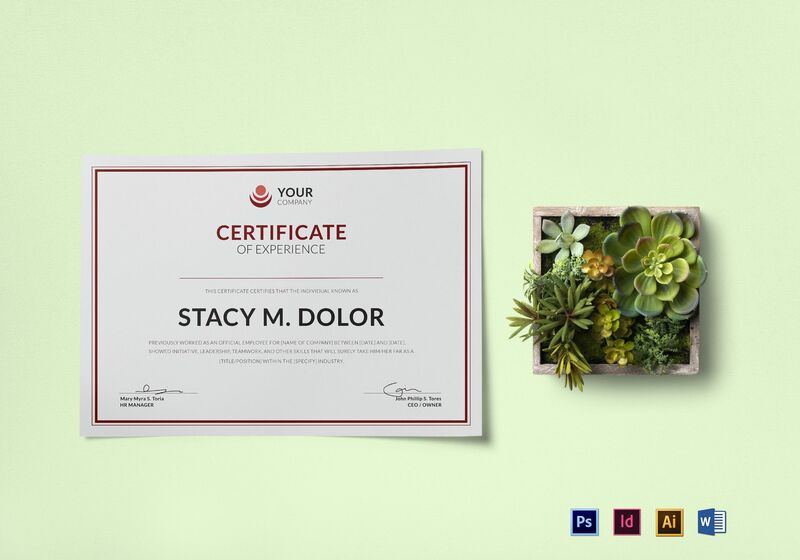 Proofread and edit: Before giving the certificate to the employee make sure that mistakes and errors are already corrected. It is important to be consistent, and avoid inaccuracies with the included details since it can affect the employee’s prsopect for the future. 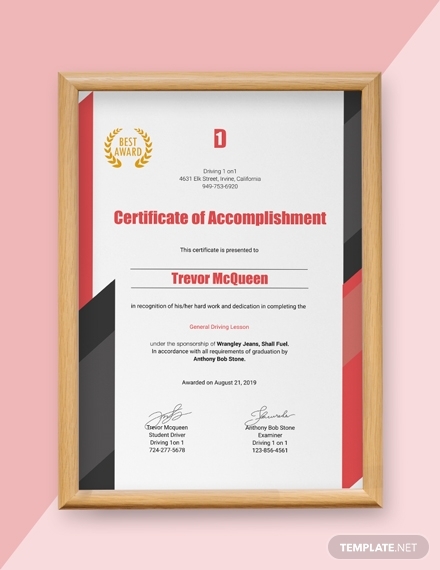 You may also see achievement certificate examples. How to request for an experience certificate? In order to request an experience certificate from an employer, it is standard that you send in a formal request letter. The request letter should outline what you are requesting i.e. 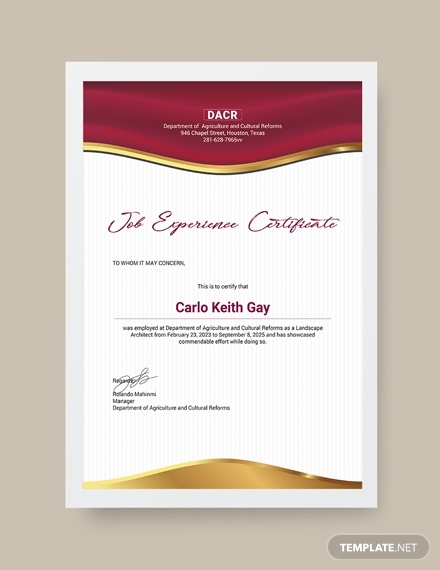 an experience certificate, reason for the request, who the certificate is for, and so on. 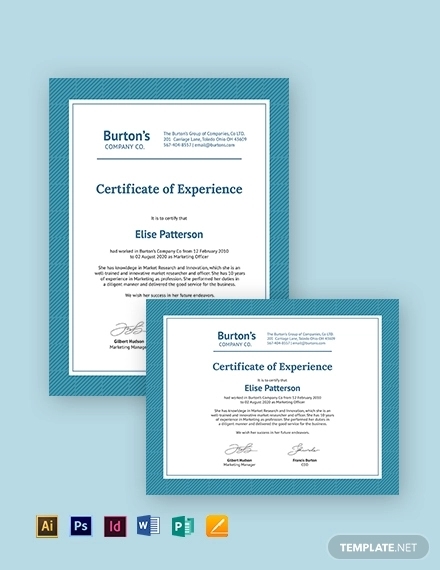 What are the differences between an experience certificate or letter and a relieving letter? 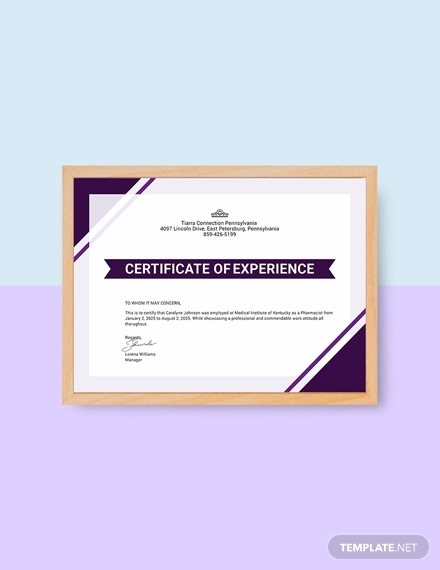 Although the contents of both an experience certificate or letter and a relieving letter are basically the same, their purpose is different. 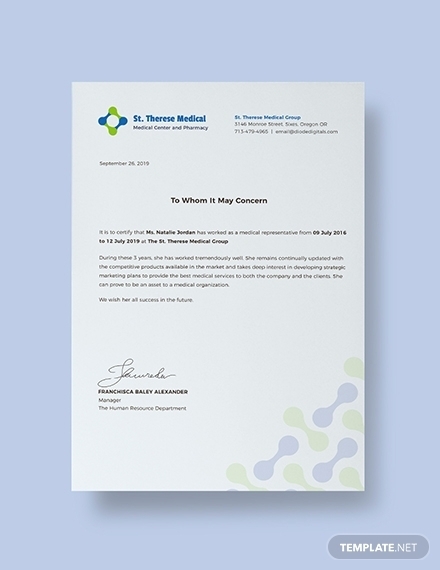 A relieving letter is only given to an employee who is leaving the company; meanwhile, an experience certificate can be given even when the employee is still with the company. In addition, an experience certificate can be given to employees who have long left the company, sometimes issued to terminated employees, absconding employees, employees who have lost their relieving letter to give them a chance at future employment.